With Entwurf und Gestaltung neuer digitaler Musikinstrumente (engl. 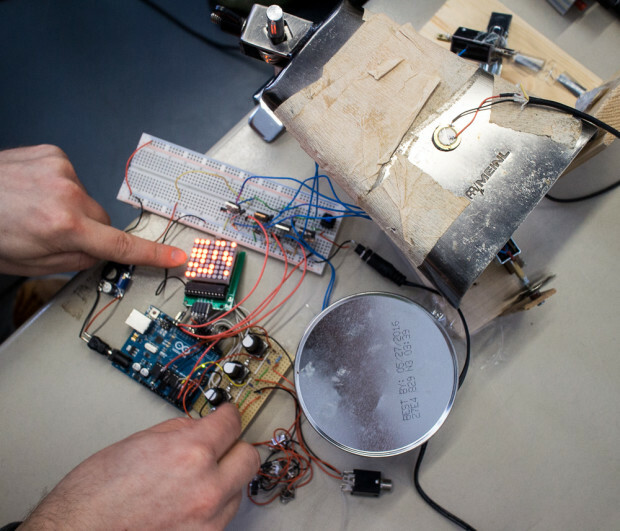 : Design of new digital music insturments), the 3DMIn project organises an interdisciplinary seminar series at UdK Berlin. It is open to students from both project partners, i.e. students of the degree programs Kunst und Medien (UdK Berlin), Audio Communication (TU Berlin), Product Design (UdK Berlin), and Sound Studies (UdK Berlin). Accompanying the seminar, international artists and musicians were invited to present their work process in a public artist talk, often accompanied by a concert. The following link-list collects the instrument prototypes of the students within the courses.